Fulham's return to the Premier League has not gone how the club or their captain would have wished. Not only are the Cottagers in the relegation zone, key man Tom Cairney has not started a game since providing an assist in the 4-2 win over Burnley in August. Injuries have stalled his impact so far, but Cairney is well used to having to make up for lost time. The midfielder is viewed by many as a prospect but he is already 27. His appearance on the opening weekend of the season was his first in the top flight for over eight years, having first had a taste of it as a teenager at Hull. It has taken time for him to fulfil his potential but those who worked with him back then were never in any doubt that he had the talent. Liam Rosenior was a team-mate at Hull and a big admirer. "He always had the ability," Rosenior tells Sky Sports. "He was 18 or 19 when I first played with him and that ability was there. I always saw Tom as a deeper-lying, ball-playing midfielder because of his technical abilities. Almost like a Michael Carrick, I thought he could dictate play from there. "He can see a pass before other people can see it. He has the ability to receive the ball in tight spaces, to play one-twos and to give assists as well as goals. In terms of his football intelligence, Tom is unbelievable. I remember when I first went to Brighton and I was begging Chris Hughton to sign him. I was telling him that this kid can do everything." Matty Fryatt was also in that Hull squad and soon appreciated Cairney's knack for picking passes. "In training, he dictated everything," Fryatt tells Sky Sports. "He was so good technically and could see a pass. He could shoot and was just so comfortable in possession in small spaces. He would work the ball so well. Everything looked right in training." Unfortunately, there was a problem. Cairney was overweight. His old pals are reluctant to criticise him too much for that. Fryatt stresses that Cairney is a "really good lad" while Rosenior points out that he was among the last to leave the training ground because of his dedication to practising free-kicks. But both acknowledge that there was something missing from his game as a youngster because of his physical condition. "He would be the first to admit that he was a little bit overweight when he was younger," says Rosenior. "As a top professional, he has worked on his diet, he has worked on his nutrition and he has worked in the gym. I see an athlete there now. So he can play higher up, make forward runs and score goals. That's something that has surprised me." Matty Fryatt endured an experience no player should have to go through during a three-year injury ordeal but now he is embarking on a coaching career instead. Fryatt adds: "He had put weight on and it was holding him back. You need to be able to run, especially in the modern game, and he was carrying a bit." The penny dropped for Cairney in the summer of 2013 after a serious knee injury had seen him play only a bit-part role in Hull's promotion back to the Premier League under Steve Bruce. "He went away that summer and lost a lot of weight," says Fryatt. "He got much leaner and when he came back for pre-season he was suddenly one of the top runners and was right at the front in training. It was like, 'bloody hell, he can run now'. We all knew how good he was so if he had that in his game as well then the sky was always going to be the limit." Rosenior remembers it much the same way. "Steve Bruce was very tough with Tom in terms of how he looked after himself so he came back for pre-season and was the fittest player at the club," he explains. "The turnaround was massive. The shame was that we had just got promoted to the Premier League so the club bought Jake Livermore and Tom Huddlestone." You can select him in your Sky Sports Fantasy Football team. As a result, it was too late for Cairney to convince Bruce, who was under pressure to build a team to stay in the top division. On the eve of the season, he was loaned out to Blackburn with the move being made permanent in January. Cairney won the club's player of the year award that season and made a £3m move to Fulham the following year. "Looking back now it may be seen as a mistake," says Rosenior. "As players, you always see someone's quality and I thought Tom could have been a very good player for Hull. It wasn't a case of Steve Bruce not rating him, it was just a case of finding that coach and club that played the right way to bring out the best in him. He has shown his quality since." Fryatt adds: "You look at it now and wonder why he was even allowed out on loan let alone sold. It was just unfortunate with the timing. We could see the talent and having lost the weight we knew what he was capable of. When he started playing regularly for Blackburn, he got leaner and his fitness went through the roof. At Fulham, he went to another level." 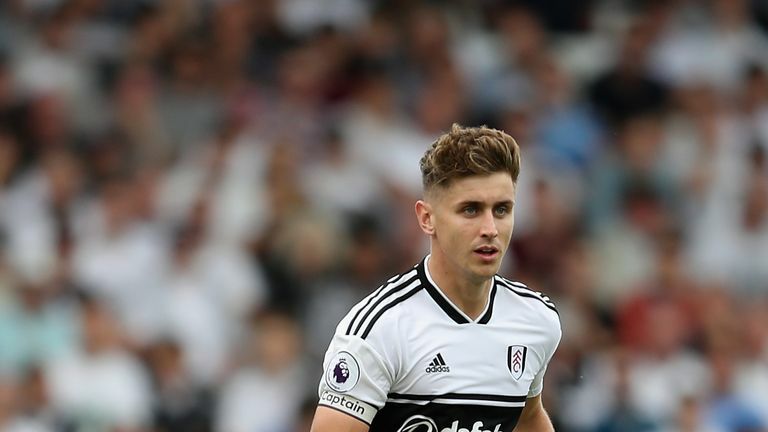 Moving to a central role after spending time influencing the game from the right flank for Blackburn, Cairney emerged as one of the outstanding midfielders in the Championship at Craven Cottage. He completed 235 more passes than any other player in the competition last season, his simple but effective prompting helping the team to promotion. Ironically, Cairney's winning goal in the play-off final at Wembley in May came against an Aston Villa team managed by his old boss Bruce. "It is funny how these things come up," says Rosenior. "But I am not surprised that it is a coach like Slavisa Jokanovic who has been able to see the qualities that Tom has. He is bringing the best out of him now. "People ask me about Tom and whether I can believe the improvement. I don't think it's about improvement, it's about finding the right club. He plays in a team that suits the way he plays. They play technical football and short passes through midfield. It suits him down to the ground and he is the major reason for me why they are in the Premier League now." Of course, getting there and staying there are two different things. Fulham's sloppy start has dampened the excitement after their strong finish to last season looked to have been supplemented by some quality additions in the summer. There are concerns over their prospects. But given the chance to shine, Cairney could still make the difference. "In the Premier League it will be tougher but it will also be easier in some ways," explains Fryatt. "There are moments in the Championship where you get tackled from behind and are wondering what's going on. Tom was able to handle that and he will get more time in the Premier League to show even more. I think it will suit him down to the ground." Rosenior adds: "I actually think the Premier League is going to suit him better than the Championship did. You have more time on the ball in areas where you can't hurt teams but you have to be quicker in your brain the higher up you play. I think he will thrive and I would not be surprised if at the end of the season there are big clubs looking at Tom." That would be some turnaround for a player who turns 28 in January and only made his Scotland debut last year. It has taken time for his true potential to emerge but do not be too surprised if he makes a belated impact this season. Cairney tends to get there in the end.